Shivesh has been chosen as one of the top 50 most employable candidates across schools and programmes in India for the Class of 2016. He has one of the best 50 profiles among the candidates who participated in the Best50 competition. 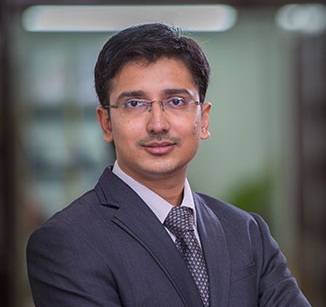 I am Shivesh Bajpai, a second year PGP student at IIM Trichy, specializing in Finance and strategy. I spent my formative years in Kanpur, an industrial town of Uttar Pradesh after which I joined ISM Dhanbad to pursue B.Tech in Electronics & Communication Engineering. Prior to joining IIM Trichy, I worked at Tally Solutions for 3 years as a Team Lead in the R&D department. Last year, I interned with Muthoot Finance where I designed business strategies for Muthoot to enter the Mobile wallet business. What have you done at your Post-Grad/Business School/Undergrad level that makes you stand out from the crowd? I believe diligence and time management skills have allowed me to diversify my profile. My journey at IIM Trichy speaks of it making me stand out from the crowd. In the field of academics, I bagged the third position in the Director’s Merit List for achieving academic excellence at IIM Trichy. I have also cleared Level 1 & 2 certification for CFA (Chartered Financial Analyst) at the first attempt. Be it real life experiences, I won the CXO Challenge 2015 organized by Cognizant Business Consulting competing with 3000 individuals from premier B-Schools. I have been awarded for outstanding investment research for winning the South zone round (as of now) of CFA research challenge organized by CFA Institute. I also authored a case on Kotak-ING VYSYA merger as an independent study under the guidance of IIM Trichy faculty. Coming to leadership, I serve as the treasurer of the B-Fest committee at IIM Trichy and am also a core member of Drama club. At the undergrad level, I published 4 research papers on data mining in reputed journals like IEEE and Science Direct. So far, my achievements have helped me differentiate as a student; hoping to maintain the culture in the corporate world. What have you done in your life that you are the most proud of? Like most people, I have also tried to give back to the society. My associations with Kartavya, National Digital Literacy mission (NDLM) and DHAN Foundation are small contributions. But, the one contribution I am most proud of happened during my engineering life. While at ISM Dhanbad, I interned with the Aerospace department of IISc Bangalore in the summer of 2010. In October 2009, the river Krishna flooded submerging 350 villages in Andhra Pradesh and Karnataka. So as a part of my project at IISc Bangalore, I was given access to ISRO satellite images of the region and I was supposed to improve flood detection techniques, by any means. Now me being an electronics engineer, well versed in MATLAB, I chose to solve the problem through software. I did extensive research on some data mining techniques and used them for river mapping and flood evaluation by analyzing time series data from satellite images. My mentor appreciated the approach and asked me to author a paper on the topic. The paper was published in an international journal ELSVIER. But, I realized that this approach of extracting linear segments from an image can be applied to a variety of other situations. I got hold of ISRO satellite images of Bangalore city and developed a method to automatically detect the road network in the city and prepare a road map(google maps was still fairly nascent in India at the time). I also applied the same technique to medical diagnostics and worked on detecting brain tumors from MRI and CT scans. I hope my contribution can play at least a minor part in some life-saving domains, especially in the wake of Chennai floods, I think advances like this can save lives.